Just like evil space bowie, the mind creatures have a special creation process. They both start off in the same way, a simple paper sketch. This one took me a few goes on paper, but the end one I was pretty happy with and didn’t think it needed much changing. 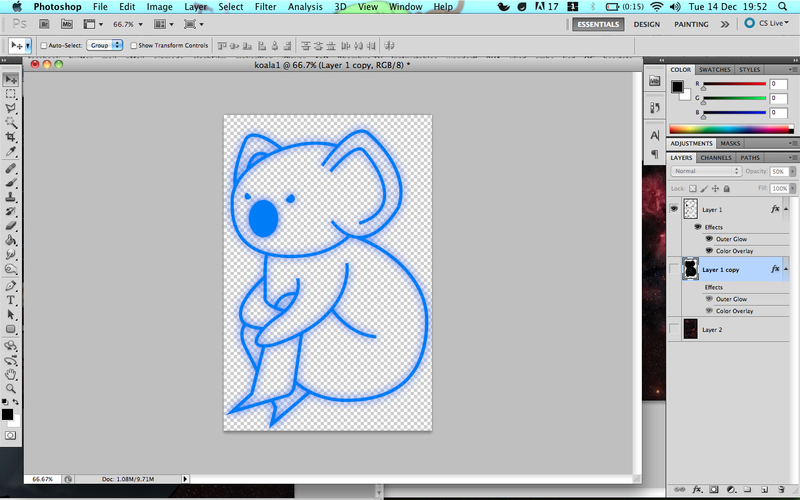 Again, I take this image into illustrator and create the line work. 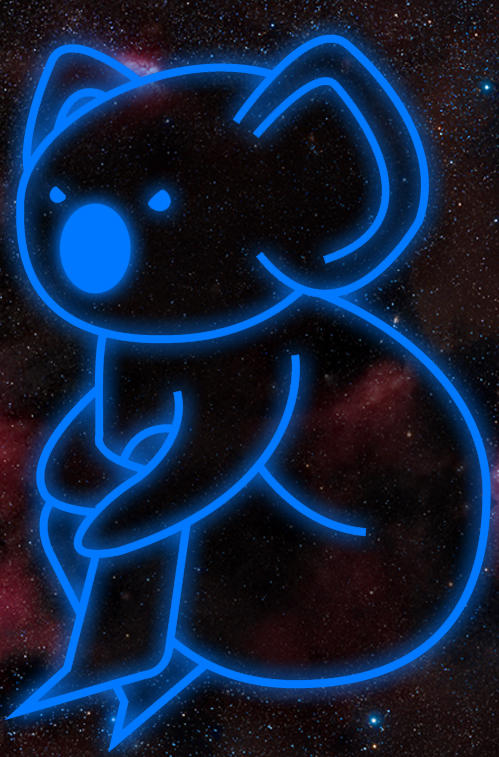 I then took this into photoshop and made the lines all glowy, like the rest of the mind creatures. 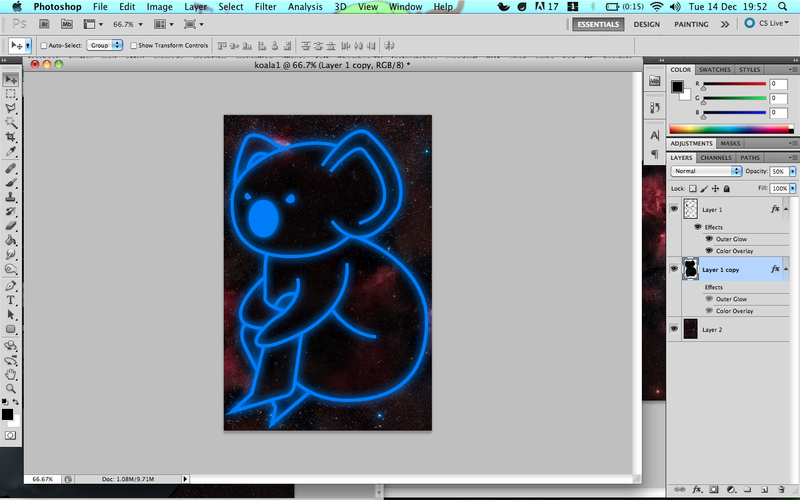 I then add a background image and fill the koala with 50% opacity black. If I had to fill in eye sockets or other details, they would be filled in with 70% opacity black. 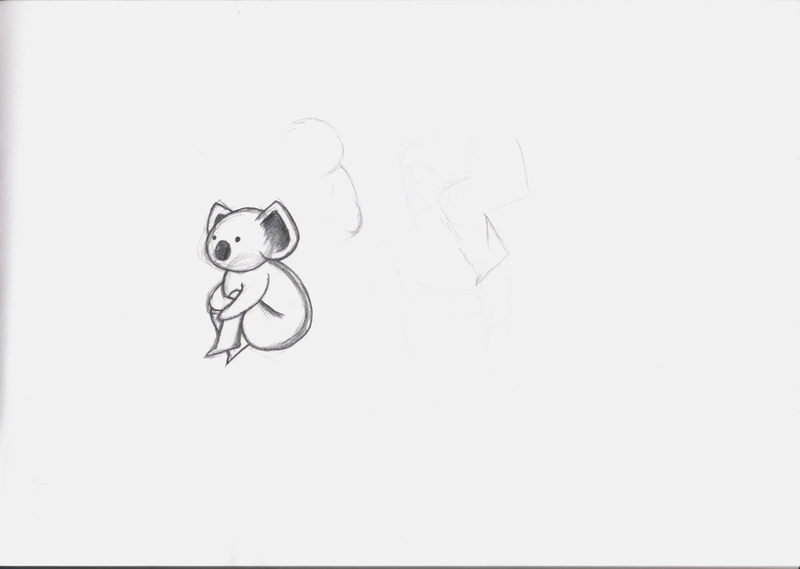 Koala didnt need any this time so he was very quick to do. 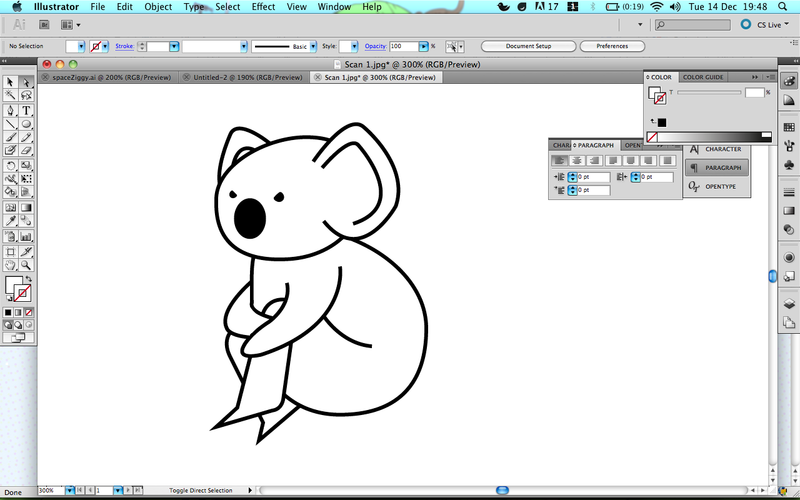 And there we have the koala artwork. As you can see, the hardest part of creating the mind monsters is the initial drawing on paper and getting them to look right first time round, when that happens, they are really easy to create the final artwork for. I might revisit him since his legs look a little off to me now that I look at them again, but for now it’s fine.